Goalrilla, forged in steel and steeped in sweat and adrenaline. Goalrilla stands alone. Players insist on Goalrilla because it’s still made according to the belief that they deserve the best-performing system we can make. It’s why we insist on welded construction rather than screws or bolts. It’s why we make poles in one piece and protect them with tough powder coating. It’s why corrosion-resistant zinc hardware is standard. You expect durability and excellent playability from a Goalrilla, and the GS60c delivers. Plus, this adjustable basketball goal comes with unobstructed visibility and more consistent rebound across the glass. The GS60c features a proven design using welded, ultra-wide span arms and a welded steel board frame – inspired by earlier Goalrilla basketball hoops, and now also included on the DC72E1. 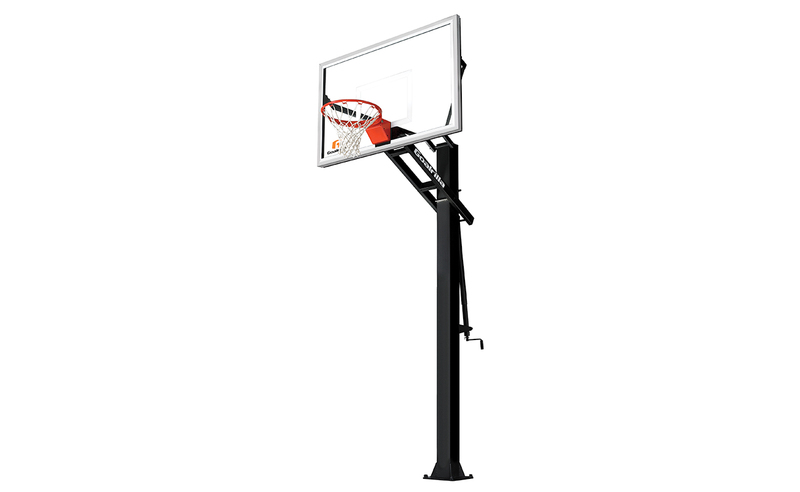 The GS60c has everything it takes to be one of the Goalrilla outdoor basketball hoops. Pole Size: 5.5" x 5.5"